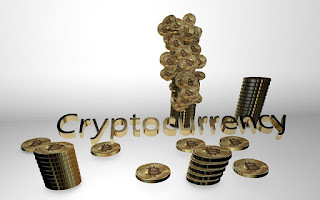 Home Cryptocurrency Currency Trading How Will Regulation Affect the Price of Bitcoin? How Will Regulation Affect the Price of Bitcoin? Standards from the Financial Action Task Force (FATF) could at some point be globally implemented to govern crypto trading. The mission of this inter-governmental body is to define and effectively apply legal and regulatory measures to fight financial crime. Overall, this G20 meeting failed to pose a serious threat to cryptocurrency enthusiasts, although prior to the discussions, many cryptos were unusually volatile. But with no real consensus among global leaders, although many have openly called for tighter regulation, the sector looks set to continue its rapid growth. The prices of Bitcoin and other digital currencies increased exponentially last year, before crashing suddenly. This industry is still relatively new and can easily be misunderstood by everyone from private traders to institutional investors. The volatility of these assets is extremely high, an essential part of their appeal, and prices constantly rise and fall in the wake of the vaguest rumours. The factors that truly drive prices remain largely unknown, but the impact of future regulation must be carefully considered by anyone wishing to invest in cryptocurrencies, as this could seriously affect their prices. Some national leaders consider virtual currencies a tangible threat to the traditional financial system. Meanwhile, there is little protection for users and many scams and cases of thefts have occurred. For this reason, Facebook and Google recently stopped publishing ads for ICOs and Wallets on their platforms. However, the chance to earn huge profits in short timeframes remains a draw for millions of traders around the world. Bitcoin has been considered as the father of all altcoins since it was launched in 2009. It is the world’s most widely accepted and traded coin, even in the face of growing competition from hundreds of upstart rivals. Cryptocurrencies traders understandably seek out for the most reputable brokers and stable trading platforms. Among them, cryptos trading broker UFX.com is widely considered to provide one of the safest and most user-friendly portals, offering competitive trading conditions and some of the most advanced tools in the entire industry.